A bow holder with a removable wearable hair bow and is sure to keep all her hair bows in picture perfect condition. The Safari Tuxedo style hair bow is wearable. Shown with optional Child's monogrammed initial. 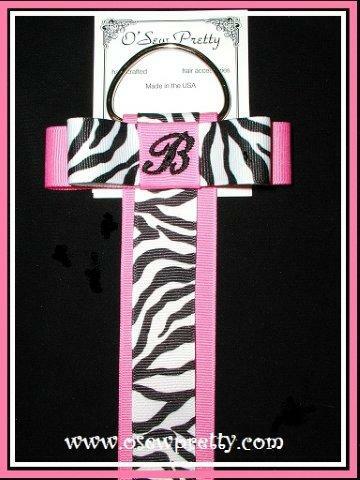 Hair bow holder is available in three streamer lengths.